USB ports are like bacon – we can never have enough of ’em. 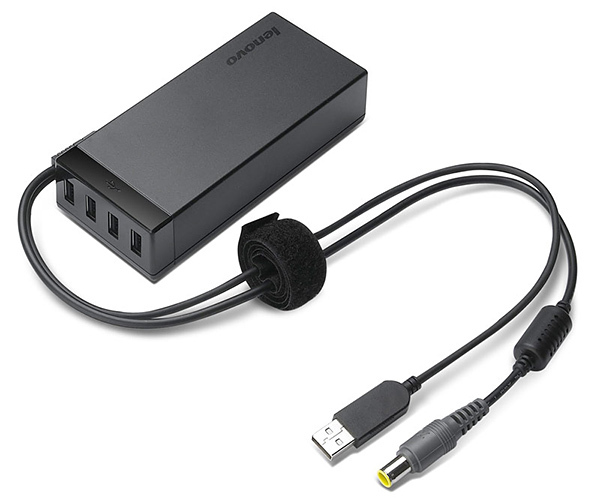 If you own a Lenovo laptop, rejoice, because the company has just released the Power Hub, a neat device that integrates a 4-port USB hub into a 65W power adapter. 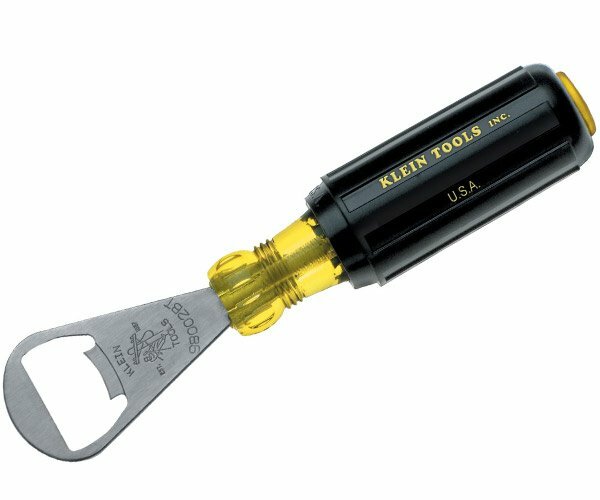 Why not just get a normal 4-port hub? Because the Power Hub can also be used to charge gadgets on its own – you don’t have to connect it to the laptop. Just plug the Power Hub to an outlet and then plug your USB-compatible gadget to the Power Hub. Because things just can’t be perfect, the Power Hub is prohibitively expensive. It’s available now at Lenovo’s website for $75 (USD). But I guess if you really need the extra ports and you have a bunch of gadgets that can be charged via USB, the Power Hub will pay for itself soon enough. 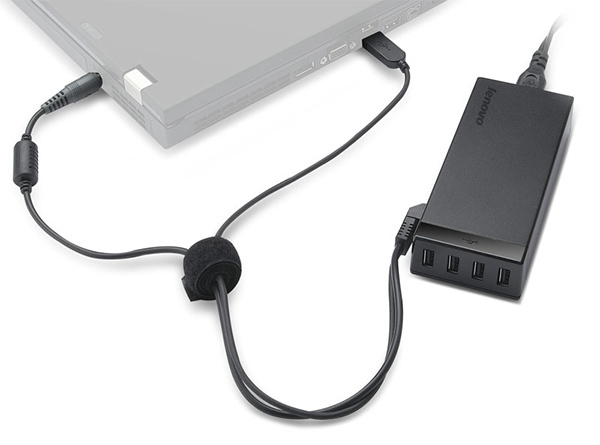 For me, the Power Hub’s biggest drawback is that it only works with Lenovo’s laptops.